Some of the most popular US songs have become, over the years, standard fare in China, tunes now played as familiar background music in coffee bars and department stores. Melodies like "What a Wonderful World," "Fly Me to the Moon," "Yesterday Once More," have entered the mainstream of musical culture around the world and in China. But while just about everyone recognizes these favorites, few people in China have heard them the way they will be played at American Pop of the 20th Century, a special mini festival presentation at the Sennheiser Shanghai Concert Hall (SSCH) in August, which will also tell the audience a lot more about the creation of these classics. The brainchild of An Dong, the music director of SSCH, An has devised this novel experience in popular music with graduates and teachers from New York's Berklee College of Music (one of the leading contemporary music colleges in the world), and the performers will take the stage for three concerts and three lectures at the concert hall on August 24 and 25. Over those two days, the concert hall will echo to the sounds of just about every genre of American popular music from the last century - including swing, ballads, country, blues, fusion, Latin, bebop, jazz, pop, disco, motown, funk and R&B. Because most of the teachers at Berklee are musicians themselves, An believes they have a unique ability in teaching music appreciation using their own personal experiences alongside traditional lectures. "They are perfect for this festival, which aims to help people not only re-enjoy these American popular classics, but also learn more about the music," An said. He explained that since the late 1970s, American popular music had gradually begun to seep into the awareness of the Chinese public, and many Chinese people had become familiar with American popular music. Favorite songs for Chinese in the 1970s included George Douglas and George David Weiss's "What a Wonderful World" (1967), John Denver's "Take Me Home, Country Roads" (1971) and The Carpenters' "Yesterday Once More" (1973). An told the Global Times that songs from the late 1960s to the 1980s will be a large part of the program at the festival in Shanghai. 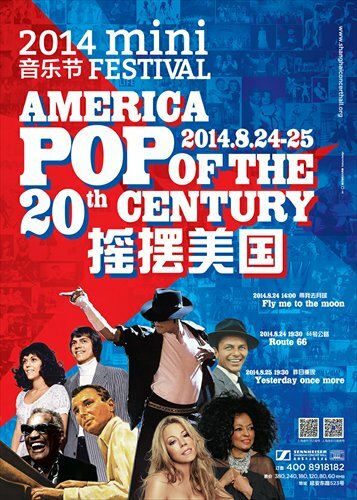 However, because there were many people in China who had no knowledge of the popular music in the US before the 1960s, the festival will also present some popular songs from that era as well with accompanying lectures on the development of American popular music during World War I and World War II, along with the music of the big-band period (from 1930s to the 1950s). 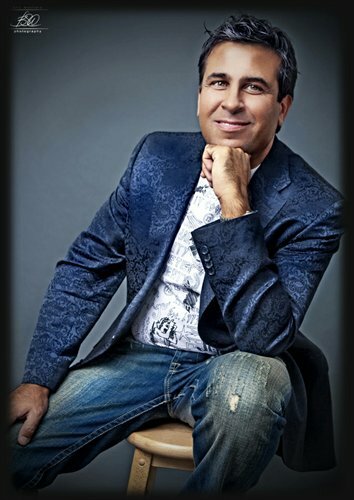 Tom Stein (pictured below), a senior professor at Berklee, is a co-producer and director for the festival and told the Global Times that through the festival, they wanted to present the best of America's musical heritage, while also entertaining and educating. We asked Stein about current developments in pop music and he elaborated. GT: How do people regard pop music today? Are there misunderstandings? Has the music changed it itself or the way it is presented? TS: Probably the biggest misunderstanding is that people feel pop is not serious music. Of course, there is much music in every style, including classical, that is disposable. There really are only two kinds of music, good and bad. I believe that the commercialization of music has both helped and hurt artists in many ways. The thing that troubles me is when I encounter snobbery on the part of musicians, who dismiss styles of music they may not understand or be familiar with. We expect that from the public, but it is offensive when it comes from artists themselves. I also don't like every kind of music, but I listen and try to find the best examples, so I understand what the artists are communicating, and I never criticize a style of music or say it is less than another. All styles are equally valid as creative works. Music is communication. I also think that audiences tend to idolize certain established stars while they may not be open to the newer artists. This makes it very difficult for new artists to gain recognition. We need new artists to replace the old ones when they die or retire. I think now that there is also a realization among the public that anyone can create good music. All of these contest reality shows on television present everyday people who can sing wonderfully or maybe play an instrument. This is great, but if everyone is performing, who will listen? Social media has really changed the landscape for music in a huge way. Now people get "discovered" online by posting videos that go viral, but does that mean they can have a career? It takes a lot of dedication and many, many years of hard work to get anywhere with music, just like with anything else worth doing at a high level. GT: Are there any new trends for the development of pop music in the US? Is social media and technology having an influence? TS: Music is a business, and like every other business, has been affected greatly by technology trends. Computers are used for everything from composing to recording to performing. Social media has lowered the barriers to entry, which has caused competition to increase. There are new kinds of venues for live music, and the recording industry has pretty much perished by now. Concerts are still very popular. There are both positive and negative trends happening at the same time. I believe our industry is going through a period of creative destruction, where old models get destroyed so that new ones can emerge. I'm working on the new models every single day. Although revenues, especially from recordings, have fallen precipitously over the last two decades because of file sharing and streaming of music (people think music should be free), many other opportunities have opened up for artists that did not exist previously. There is also a historical perspective to take into account. Music is co-related with other events and developments in society. When the world is changing quickly, music will change with it. So around the world, music will blossom in different areas in different times. In the last century, American music was the hotbed of musical innovation. There really hasn't been much new happening here since the last century. Maybe it is Asia's turn? For festival details and ticket information, visit: www.shanghaiconcerthall.org/program/programview.asp?program_id=1432.